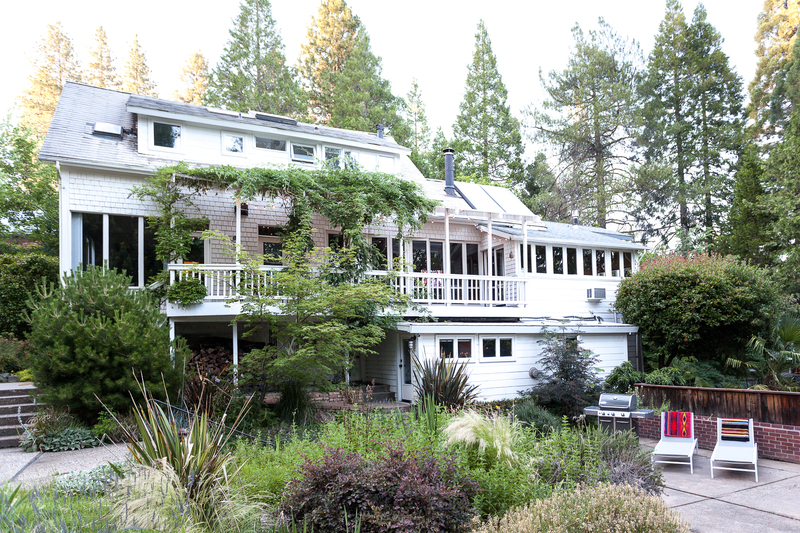 Located ‘in-town’ at 534 Spring Street, the Goldtown Hideaway is a very comfortable experience for guests, as unique as Nevada City itself. Built in 1851 by Irish brothers who ‘struck it rich’ in the early days of the Gold Rush, and formerly known as The Kendall House Bed and Breakfast, the charm of this property is unparalleled. 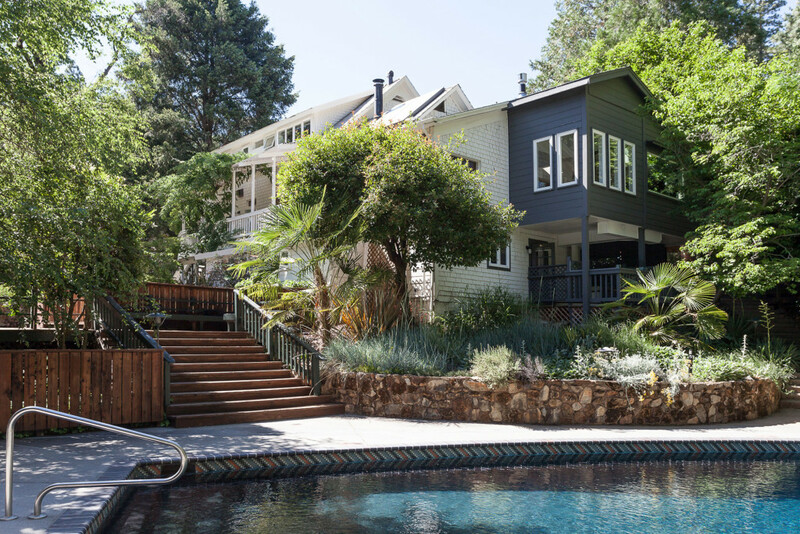 There is a real sense of privacy and seclusion as it’s located on a full-acre with a vast landscape of towering trees and plant life, yet only a 5 minute walk to Nevada City’s wildly popular cafés and restaurants, theaters, nightlife, hikes, bike trails, and more. The Goldtown Hideaway consists of a spacious owners residence with an additional Two-Room Suite located in the rear of the Main House overlooking the yard, a Garden Studio around the side of the house with its own wooded entry, and also a large ‘Barn’ on the rear of the lot. Guests onsite can be seen coming and going, but all four ‘compartments’ of the property have separate entrances and are very different spaces, yet all updated with new flooring, Restoration Hardware linens, towels and cutlery. All new Beautyrest mattresses, plush down and down-alternative pillows and duvets, and upscale furnishings throughout. Comfort abounds in every element of the property. While owners reside in the property’s main house, guests are welcome in the Two-Room Suite, the Garden Studio, and the Barn, all of which have been redesigned by blending modern updates with an influx of locally sourced antiques and accessories, maintaining a regard for the property’s eclectic and historical ‘cabin-like’ past.